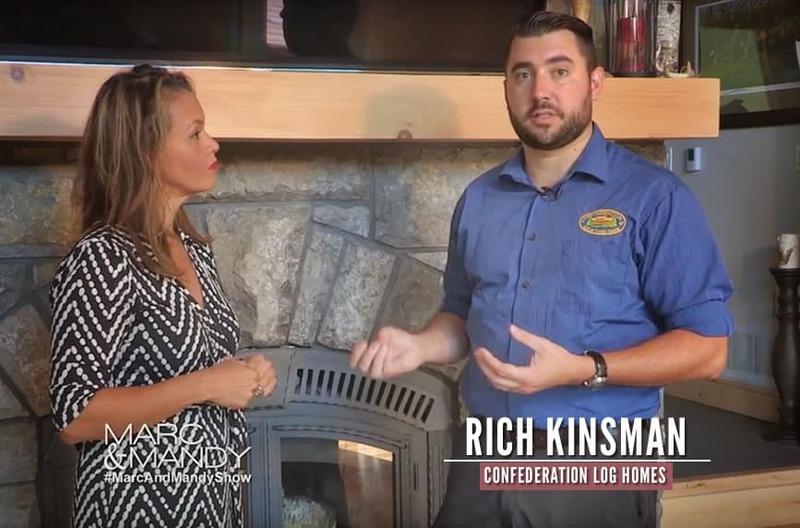 Wrapping up our 3-video series, Rich Kinsman answers this often-asked question: are log homes energy efficient homes? Here in Ontario where hydro electric bills are climbing at rates never seen before, home buyers are more and more concerned about energy efficiency. And rightly so. In this article, we’ll look at the energy efficiency of a modern log home and ways you can keep your energy bills as low as possible. And a BONUS: Get the Elwood Floor Plan that Rich built for his own home, featured in this article, sent straight to your inbox. Which is more energy efficient: a conventional home, or a log home? Many people assume that a conventional home is more efficient, but a log home will actually perform better than a conventional style home. Whether your concern is saving money on your utilities or minimizing your carbon footprint (or a bit of both!) a log home is your best bet. What exactly makes a log home so energy efficient, and how can you make sure your custom designed home takes advantage of those benefits? How are log homes so energy efficient? It often surprises people when we tell them how energy efficient log homes are. Many still tend to picture log homes as they were in pioneer days: rustic and drafty! But our log cabins are energy efficient by design, due to the innate properties of the wood itself combined with an airtight construction. Here’s how it works: logs have great thermal mass. That means they will easily absorb heat and release it back out over time. Think of an ice house: During the winter, it’s filled with ice to use throughout the year. To prevent it from melting during the warmer months, sawdust is used as an insulator. That’s because wood is the best material to insulate the building and keep the ice solid throughout the hot summer months. When talking about home construction and energy efficiency, you’ll often hear the term “R-value” used. R-value is a numbered scale that rates the ability of a material to resist heat flow. The higher the R-value, the better an insulator that material is. If you look at the actual R-value of wood, it’s going to be R-1.5 for every inch. But taking into account thermal mass as explained above, in your home it’s actually going to perform to R-20. Compare this to a conventional home with stud walls, framing, and insulation. On paper it’s R-20, but it’s actually performing to considerably less. How do you make sure your custom home design is energy efficient? Here are the options to consider. One important decision is going to be the thickness of the log. Our E logs are engineered, manufactured logs that are filled with insulated foam. Each log has foam in the center and wood cladding around all sides, giving the appearance of a wood log, but with the energy efficiency of foam. It’s the most energy efficient log on the market. The windows are one of the most important features of a log home but there’s something you should know. One of the classic features of a modern log home is the big, beautiful windows that give you a view of nature. Windows are an essential feature for a log home, but they’re the weak point when it comes to energy efficiency. The most efficient log in the world won’t help you hold onto heat if it’s all leaking out of your windows! 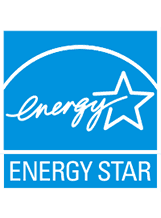 That’s why we recommend using triple-pane energy efficient windows. When talking about energy efficiency, it’s easy to get the concept mixed up with being “green” or eco-friendly. Actually, it’s possible to be one but not the other! For example, you could have a very energy efficient log home that saves you money on your utility bills, but if the logs weren’t manufactured in a sustainable way, then the home isn’t green. At Confederation, we aim to be both energy efficient and green at the same time. We’re actually the first log home manufacturer in Canada to build to Energy Star standards. Logs are a natural product that are recyclable, biodegradable, and renewable. But we go the extra mile to make our processes sustainable. We use carefully harvested FSC-certified logs, air dried on-site at our Bobcaygeon, Ontario, facility (why not come for a tour?). Our entire production facility is totally green and waste-free: our cut offs are used as firewood, our scrap logs are used for boat blocks at local marinas, and even our sawdust is donated to a local farmer for animal bedding. 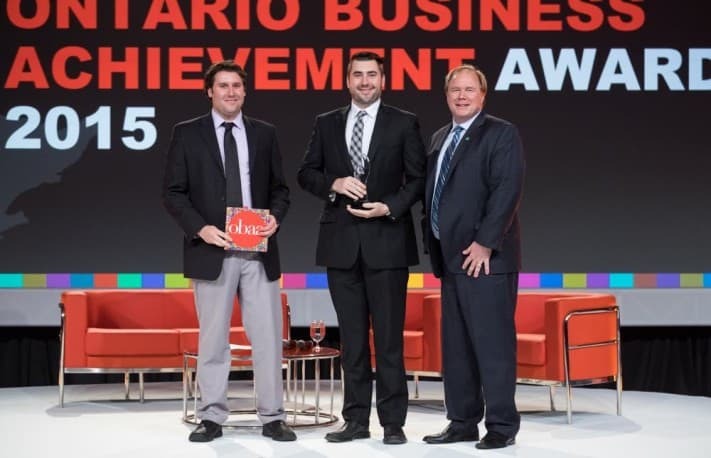 We’re proud to have been recognized for our efforts by the Ontario Chamber of Commerce with the 2015 Sustainability Award. Our 2015 Sustainability Award – so proud! In the Marc and Mandy Show video above, you saw Rich’s home, the Elwood. Rich’s home is energy efficient, using a high-efficiency wood burning fireplace to heat the home in the mornings and evening. Though there is a propane furnace available, he uses his fireplace 90% of the time. Need inspiration for your own custom designed log home? Just enter your email address below and we’ll send you Rich’s floor plan so you can stop dreaming and start planning.